Nagpur, Feb 6: The world is accepting Bharatiya way of life. It has already accepted ‘Yoga’, and ‘Ayuerved’ with respect and Sanskrit language is also being taught in a number of foreign universities. All these indicate to the fact that the rise of Bharat has begun and soon it will adore the top notch post of “Vishwa Guru”, asserted Rashtriya Swayamsevak Sangh (RSS) Sarkaryawah Suresh alias Bhayyaji Joshi. He was speaking at the inauguration of Sri Golwalkar Guruji Gurukulam of Kavikulguru Kalidas Sanskrit University at Ramtek, 40 km from here on Tuesday. Maharashtra Governor Ch Vidyasagar Rao, Union Surface Transport Minister Nitin Gadkari, Swami Vishweshteerth Shripad, MLAs D Mallikarjun Reddy, Girish Vyas, Guardian Minister Chandrashekhar Bawnkule, Vice-Chancellor Dr Shriniwas Varkhedi, former VC Dr Pankaj Chande and others were prominently present on the occasion. 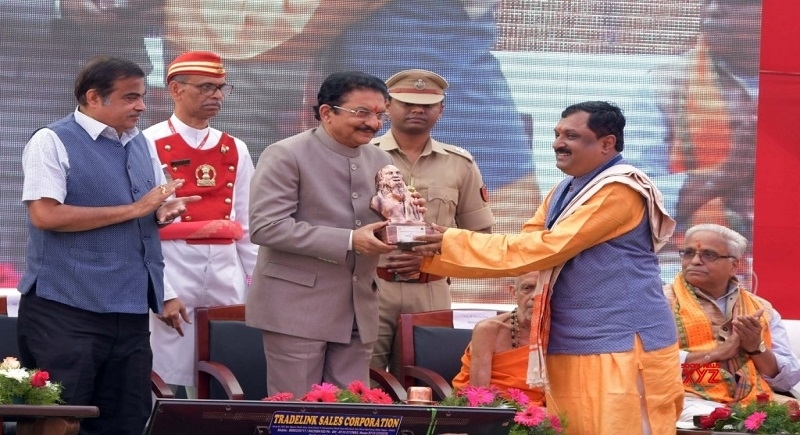 Bhayyaji Joshi said that ‘Gurukul’ has a unique place and importance in the Bharatiya tradition where best education and knowledge was imparted to the students by the expert teachers. The country today needs people with knowledge. Describing this as sowing the seed of Sanskrit, the RSS leader said that this will surely transform and prosper into a huge tress spreading the Sanskrit language in its surrounding. 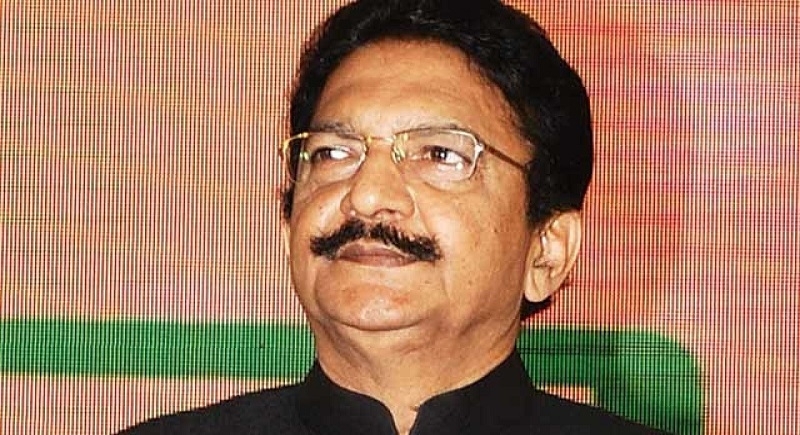 Governor Ch Vidyasagar Rao said that the late Golwalkar Guruji, the second Sarsanghchalak of RSS was a visionary leader. He steered the RSS clear of all the hurdles, the biggest being the ban imposed on the RSS after the murder of Mahatma Gandhi. This is creditable for the KKSU to have a building in the name of such a visionary leader and a spiritual person of very high order. He called upon the university to undertake some serious research in various fields. He said Bhaskaracharya calculated the exact period taken by the Earth to complete revolution around the Sun in 12th century. Sushrut Samhita, CHarak Samhita, etc. are the important documents that indicate to the highest degree of research conducted by the early Indians in various fields. He said that the research must be carried out and made public for the welfare of the entire humanity. Union Minister Nitin Gadkari said that Sanskrit is mother of many languages in the world. It is being taught in countries like Iran, Germany and Uzbekistan etc. In Germany 14 top universities are teaching Sanskrit, he added. He asked the KKSU to coordinate with the schools and colleges and spread Sanskrit to them. Vice-Chancellor Dr Shriniwas Varkhedi made introductory remarks and highlighted the journey of the KKSU.